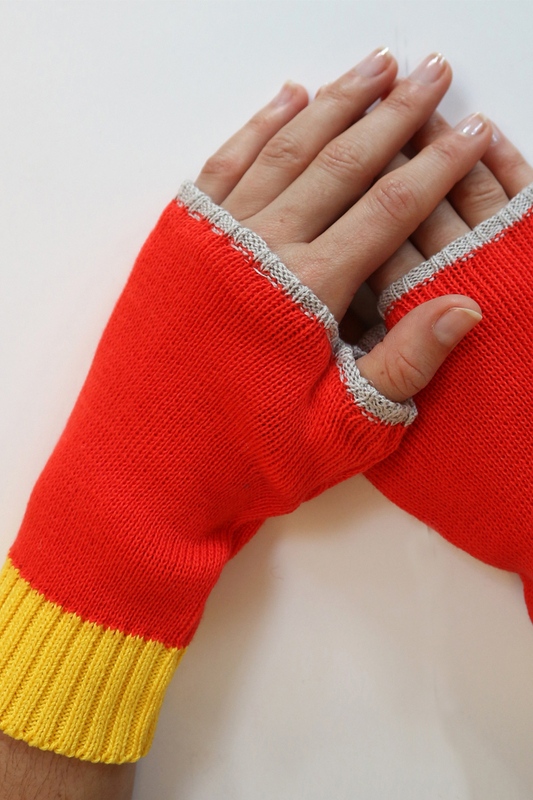 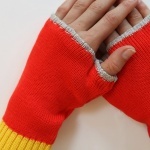 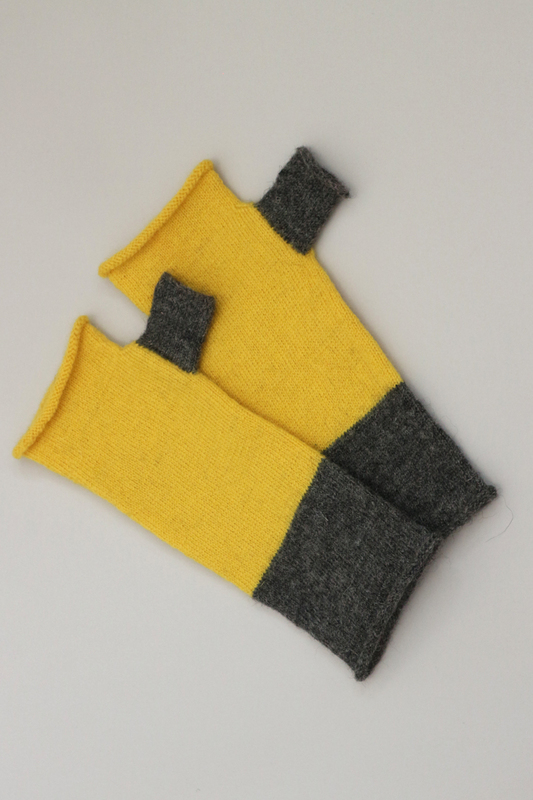 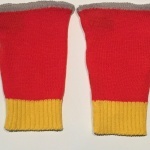 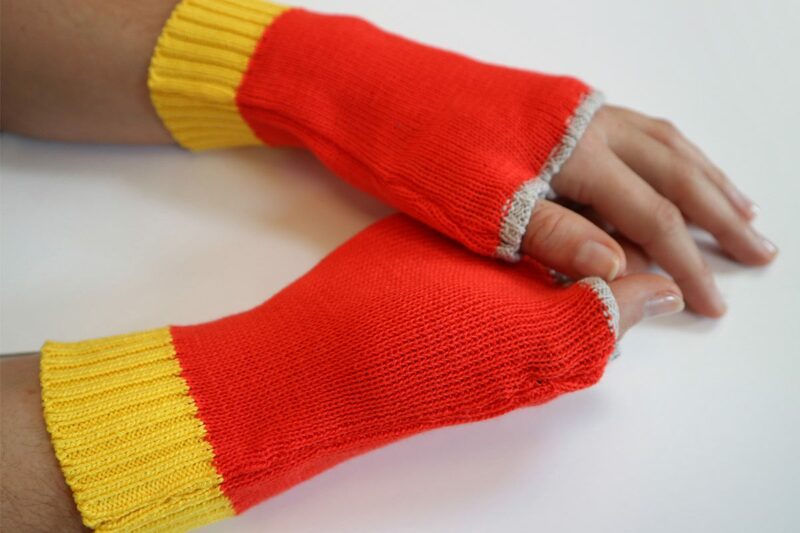 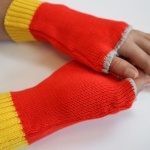 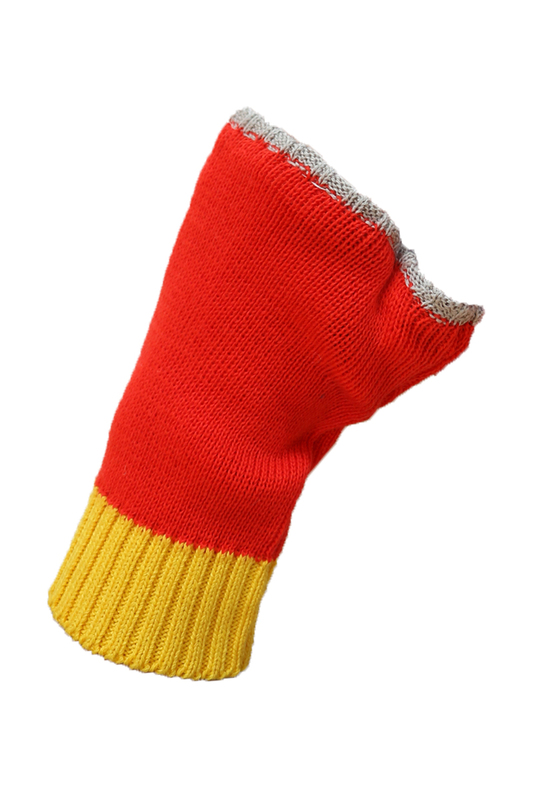 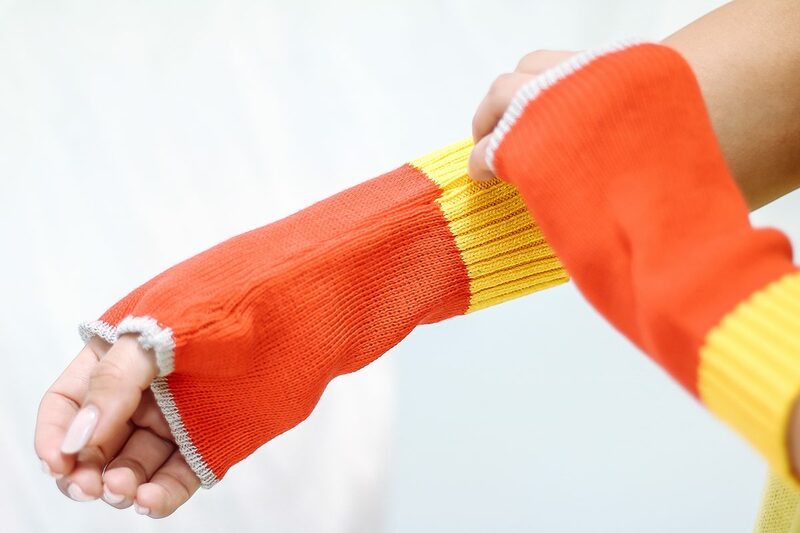 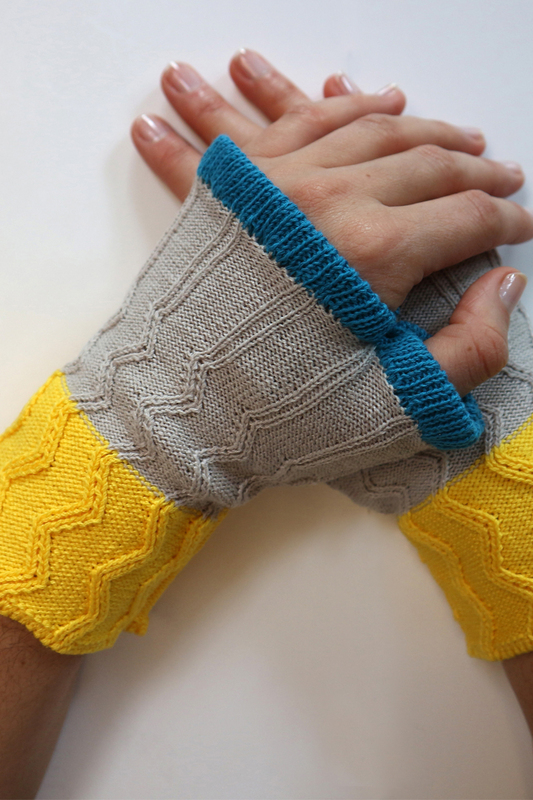 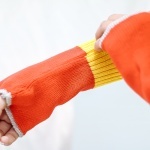 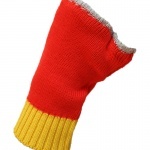 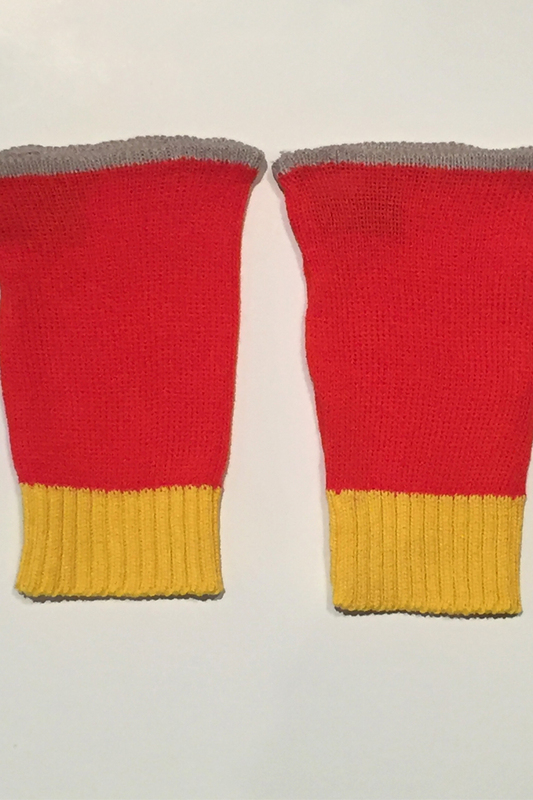 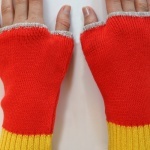 Inspired by The Hereford dress, these mittens feature a bright yellow, ribbed cuff. 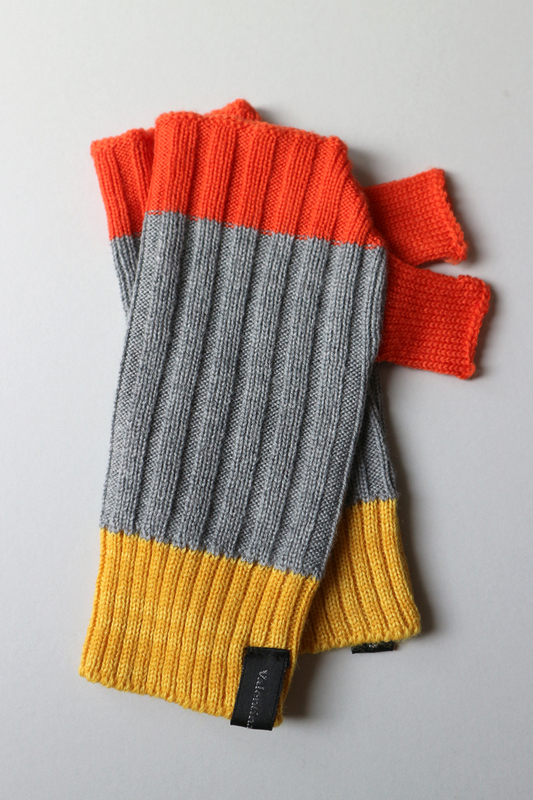 The cotton softly brushes against the skin as the colours playfully contrast against one another. 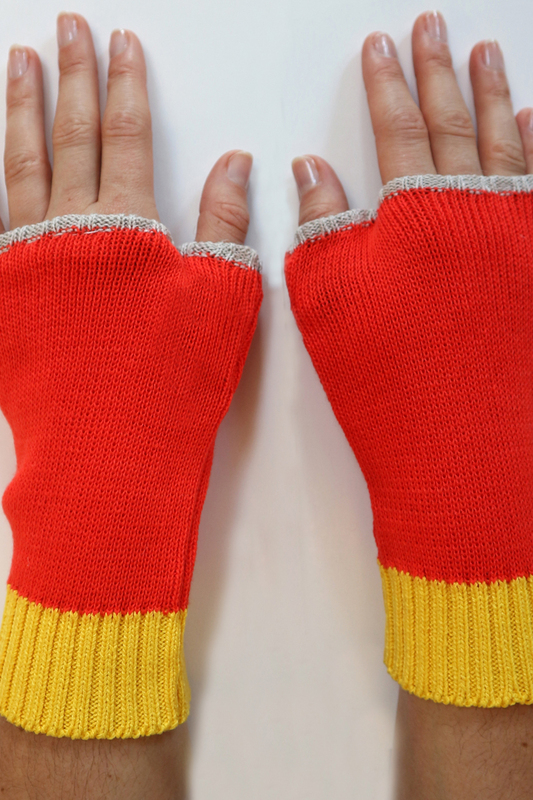 Fingerless and warm, giving you the freedom to continue using your tablet.